For my DT card, I inked and stamped a tag and then stamped the image of the peacock ( brand unknown). Behind it, I layered a panel of resist stamped card and a part of a doily. The background panel was coloured with ink and water. 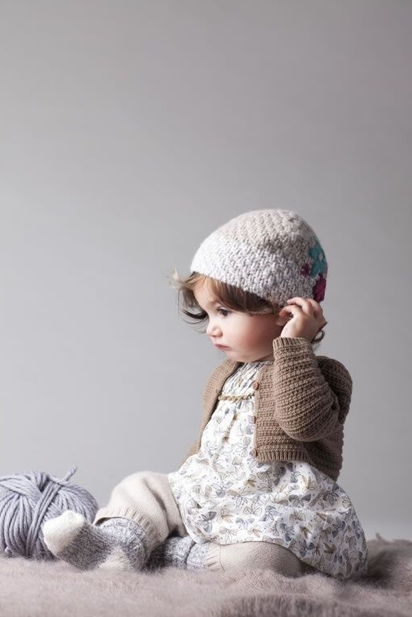 Please do visit us at Inkspirational , see what our DT have done and meet our Guest Designer, Pauline. I was inspired by the picture at Use Your Stuff to make this card. Sorry the picture is a bit shadowy - I will miss the deadline if I leave it till the light is good! I'd also like to enter the banners and balloons challenge at Incy Wincy. I've used another Heather Ellis image here, coloured with Promarkers. 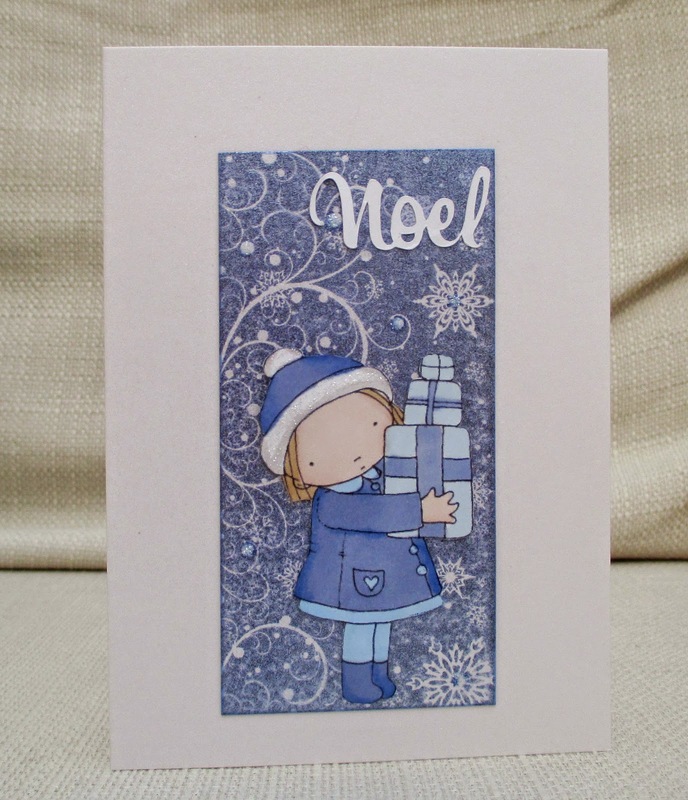 The swirly snowflake backgound is a Justrite stamp and the 'noel' was cut on the Silhouette. Happy Birthday to my Inkspirational team-mate, Pia . Hopefully, she will have already received this card in real life. This card was mostly made from things I had lying around. The bird is an ADFD digi that I had printed off some time ago and never used. I sponged it with distressed inks and sprayed it with water. The yellow background was made when I was trying out the kiss stamping technique. 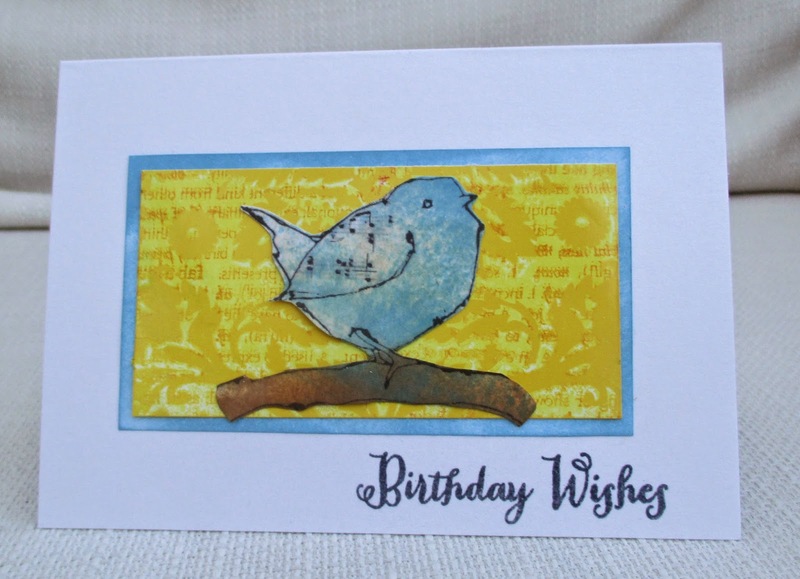 All I had to do then was ink a mat using one of the ink colours I'd used on the bird, and stamp a sentiment. 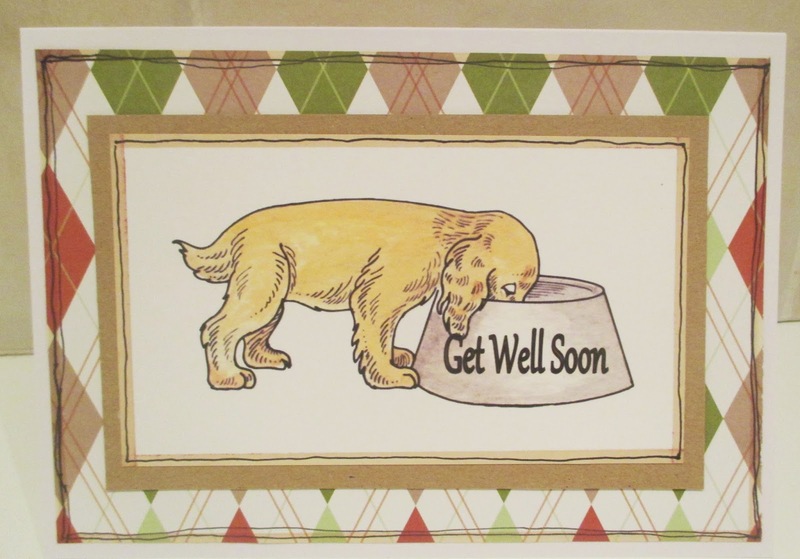 I know a puppy is not traditional for 'get well' but when I saw this image I thought it was a nice symbol of the health and energy we'd like a sick person to regain. I also thought it might work well for a man. The puppy is a pre-coloured image from My Craft Studio Setting the Scene CD and I added the text to the bowl. I use some scrap patterned paper and I doodled some frames. 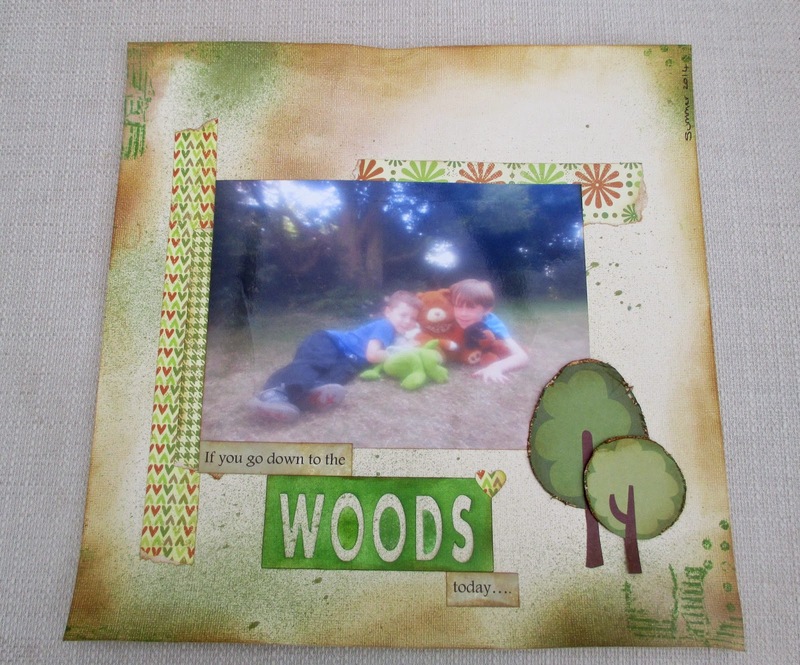 This week's challenge at Make My Monday is Tag or Topper. As you can see, for my DT project., I made a tag. 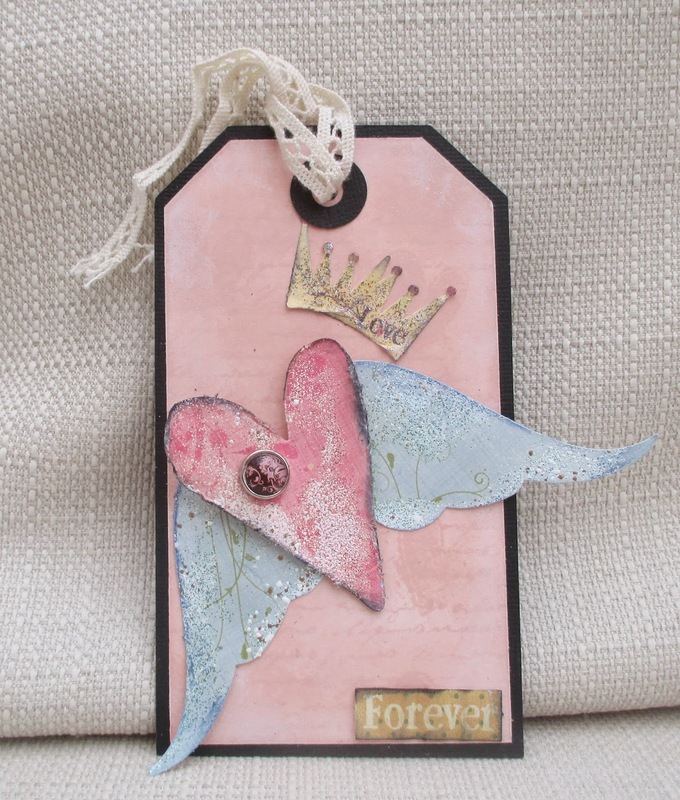 I coloured the white inner layer with Distress ink and stamped it with script and heart stamps - it's very subtle - a bit too subtle for the photo I think! 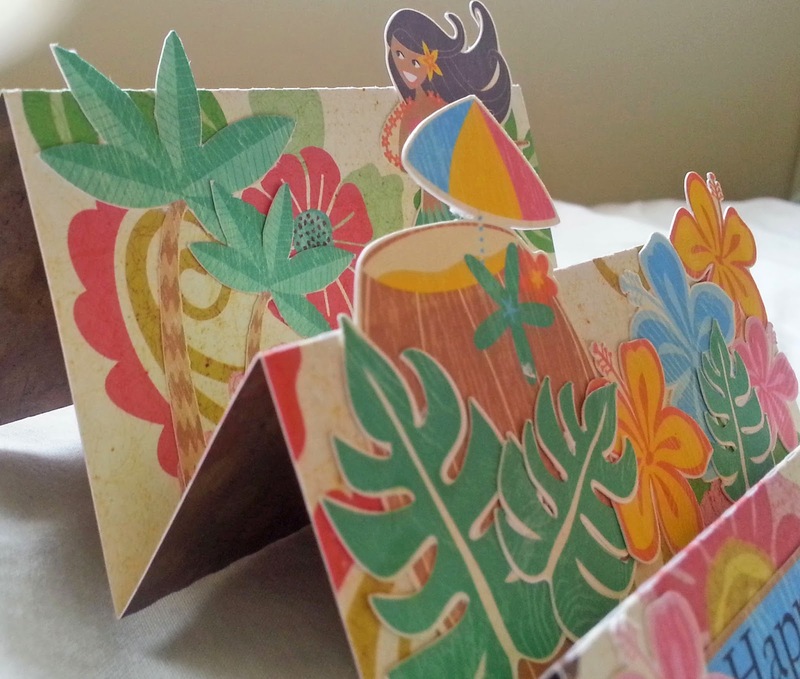 Then I used die-cuts from a sheet of Fancy Pants printed die-cuts I impulse bought years ago and have never used. 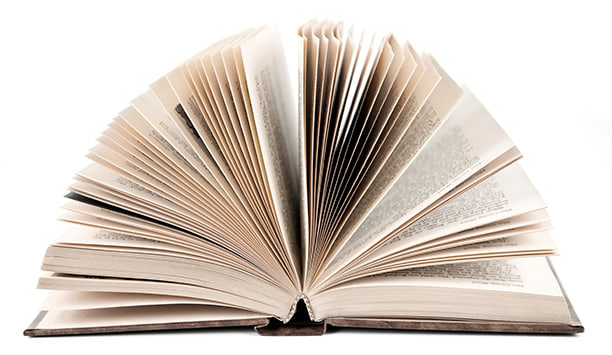 I used every distressing trick in the book - inking, crumpling, scratching and frantage-ing ... I'm surprised anything survived! Finally I added lace and a brad. We'd love you to come over to Make My Monday , see what the rest of the DT have done and join in the challenge. Well, if I had a fairy in the garden, I would probably keep her secret so that people wouldn't think me mad! Here I used a digi from Crafts and Me. I coulered her by sponging her with two pink and one yellow distress inks. The torn background was made using Fresco paints and a Paper Artsy stamp on waxed tissue paper. 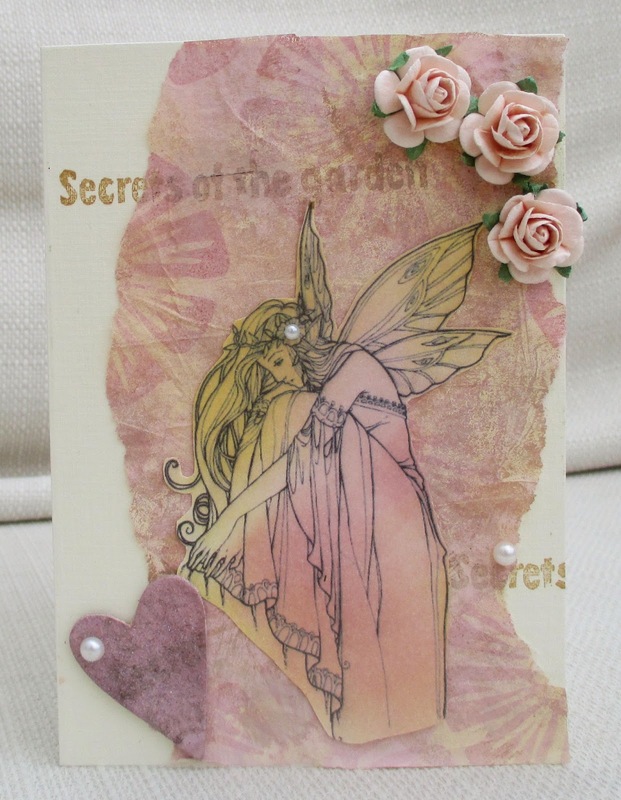 The text 'secrets of the garden' is from the same Paper Artsy set as the flower. 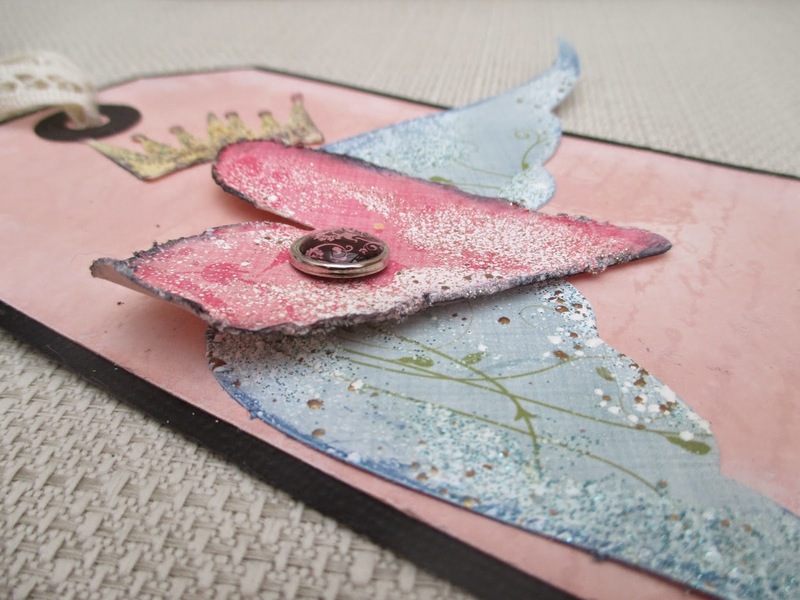 I also used pearls , a chipboard heart sprayed with glitter, roses and 'wink of Stella' on the wings ( doesn't show in photo). 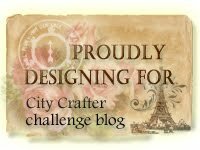 When I saw this Heather Ellis digistamp, I knew I could use it for the photo challenge at City Crafter . I think this card would be perfect for a friend who knits. Unfortunately, I don't have such a friend! I coloured the image with Promarkers and paper-pieced the dress. Well, I've just completed my first week back at work after my four week summer break - it has really helped that the weather has taken a turn for the worst, so not too bad to be back in the college. 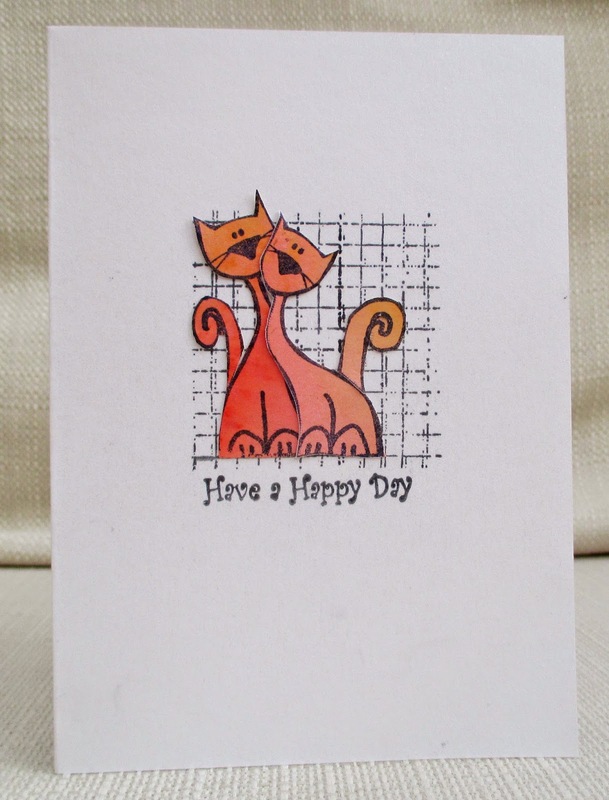 For this card, I used an old Magenta stamp - I stamped it on a piece of scrap inked paper left over from my Inkspirational DT project, cut out the cats and cosied them up together. The grid is a Kaisercraft stamp - it's a long stamp so I masked it off to make it square and added a sentiment. Papergirls Challenge make your own challenge - messy(inked paper) , 3 images (3 stamps), make a card. 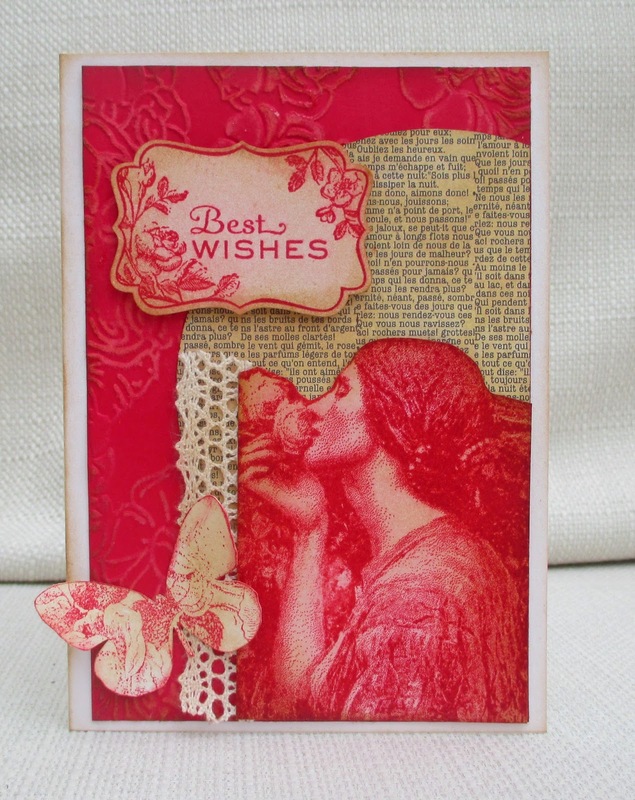 This week I have resist embossed a Hero Arts text background and made a rosette. The centre of the rosette is a Echo Park sticker, which I've glittered. Happy Birthday to my lovely Inspirational team-mate Nonni. Hopefully,she will have received this card in real life by now. 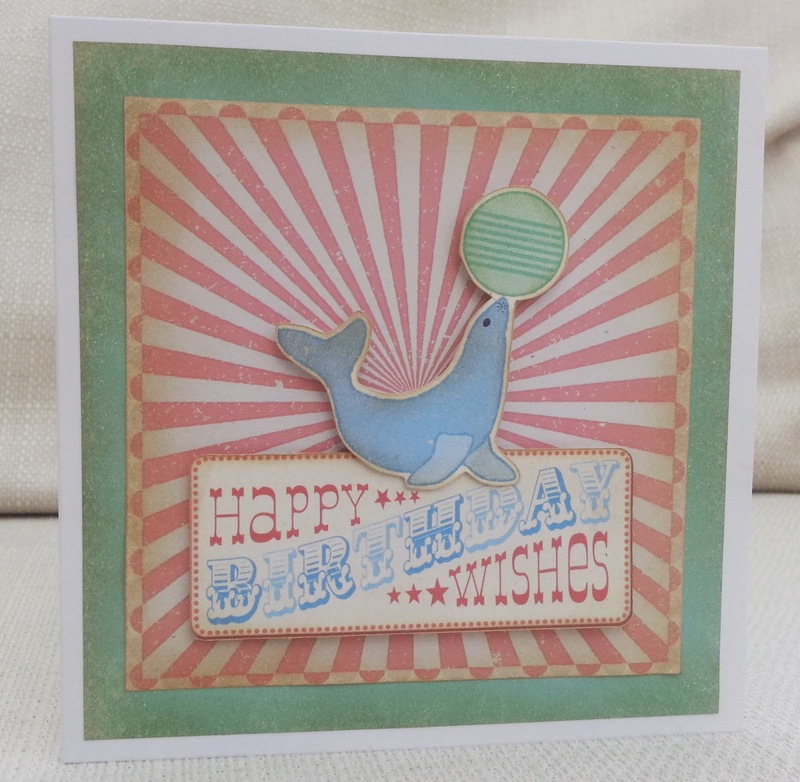 I used 6 stamps from two Sarah Hurley stamp sets, coloured with Promarkers. Nonni is a red-head and I think that influenced my slightly autumnal colour scheme. 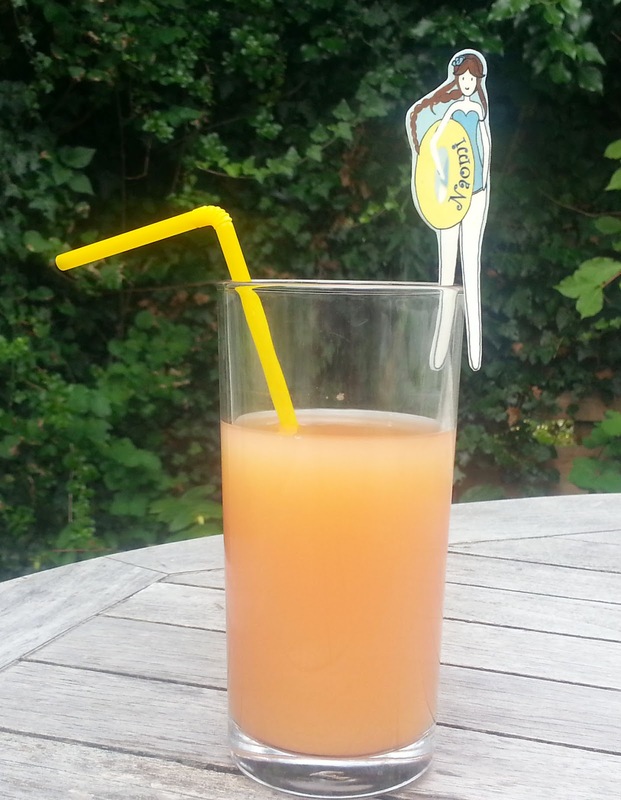 Sandie is hosting a surprise linky party on her blog, so I am linking up there. Hobbycutz fave kind of challenge - wings! Is it possible to take a bad photo of the Eiffel Tower? This layout tells the story that, on our recent trip to Paris, we queued for 2.5 hours to get into the tower and when we got up there, it rained! I used some Teresa Collins paper for the background , washi tape, die-cuts made on the Silhouette and 7 Gypsies 'Numero' stamp set. 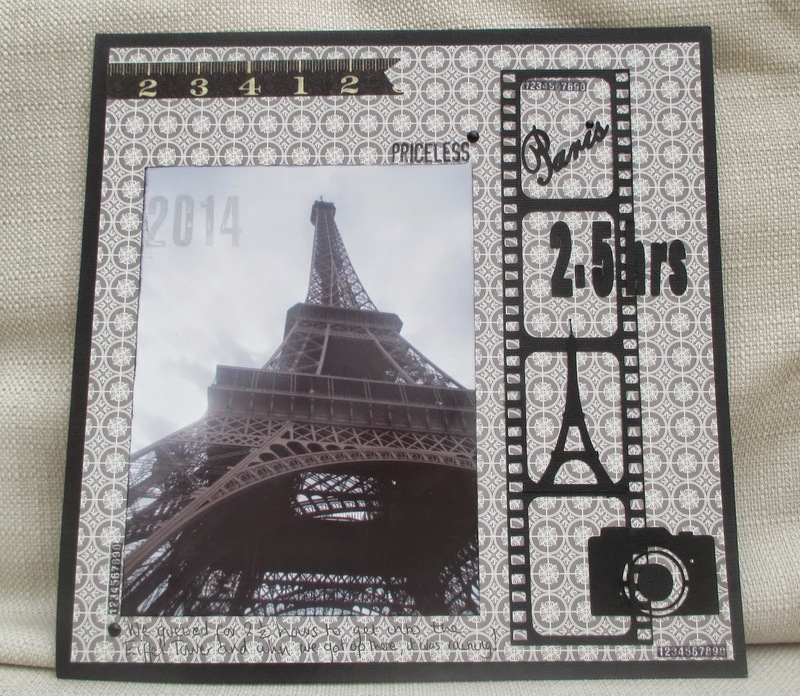 As well as my usual cardmaking and scrapbooking , I've done some other crafty things this week. 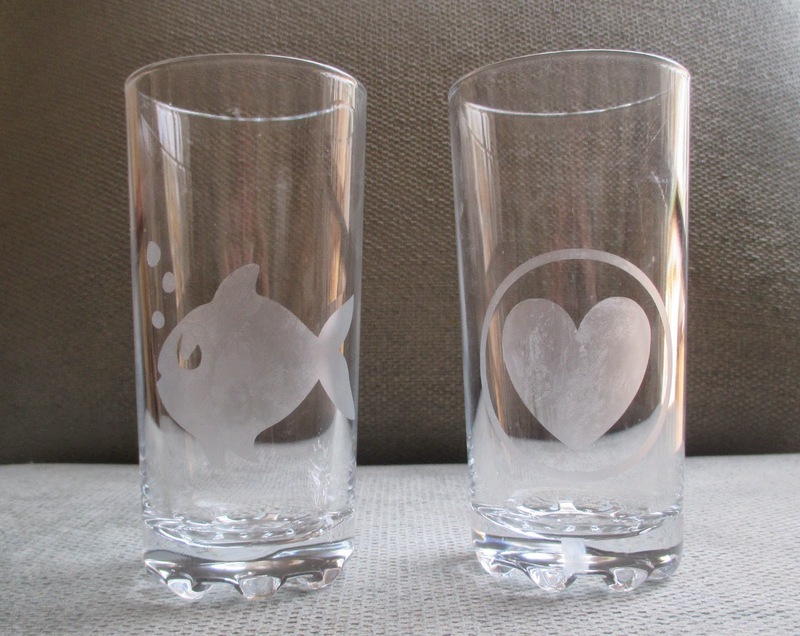 At the weekend I made my first attemepts at glass etching using a stencil (cut on the Silhouette) and etching cream. I kept to pretty simple shapes and was amazed when it worked. I might try something more complicated next. 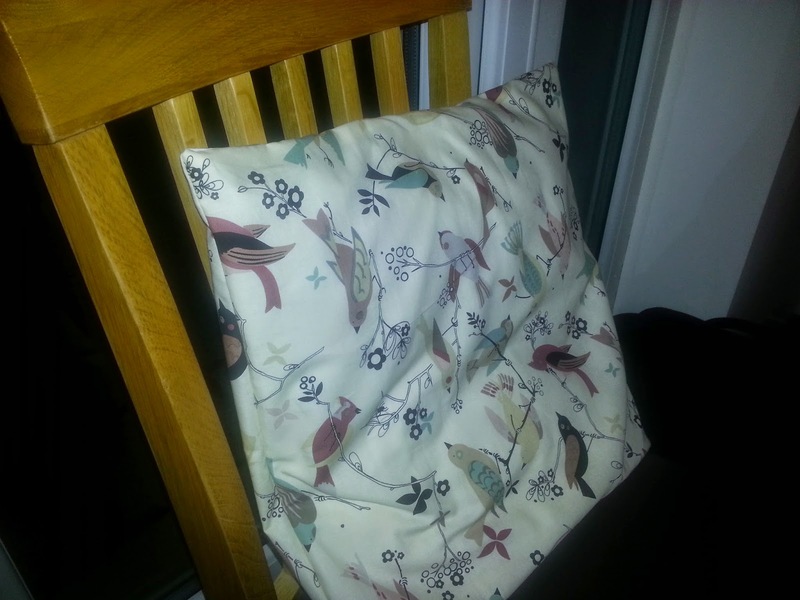 And here's the cushion cover I made - not displayed to its best advantage, perhaps! 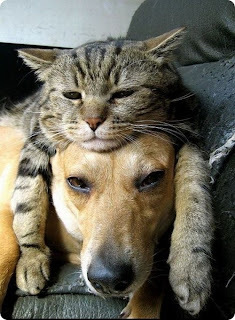 I do a lot of 'hybrid' these days. I love how technology can be combined with good old cutting and sticking ! For the central image I combined six elements from two different digikits in Craft Artist. The spotty paper also started out as digital - Samantha Walker Nautical - and I (on my Silhouette) cut an aperture in it and stuck it over the image on 3d foam, so the image is recessed. 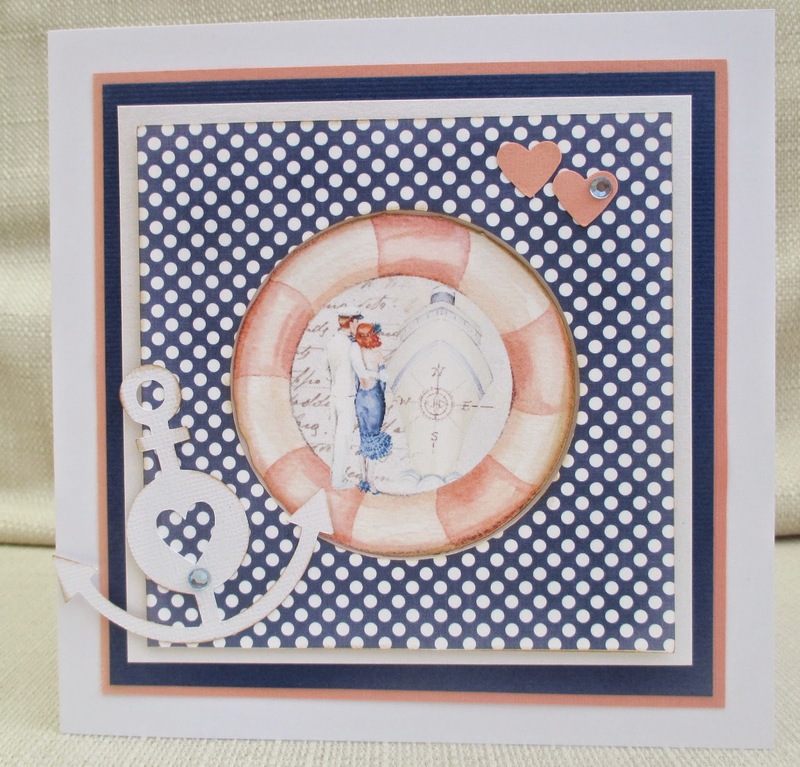 The anchor is an SVG cutting file, and I added gems, punched hearts and some layers of card. See below for the inspirational picture for this week's Pinspirational Challenge I picked up the theme of friendship for my DT card. I used a digi stamp, from my own collection, which is by one of our sponsors this week, A Day for Daisies. I created a torn mask and framed it with a Hero Arts text background, 'Friendship'. Please come over to Pinspirational and show us how the picture inspires you. There are great prizes to be won. This week's challenge at Make My Monday is to make a project on the theme of 'Sports'. 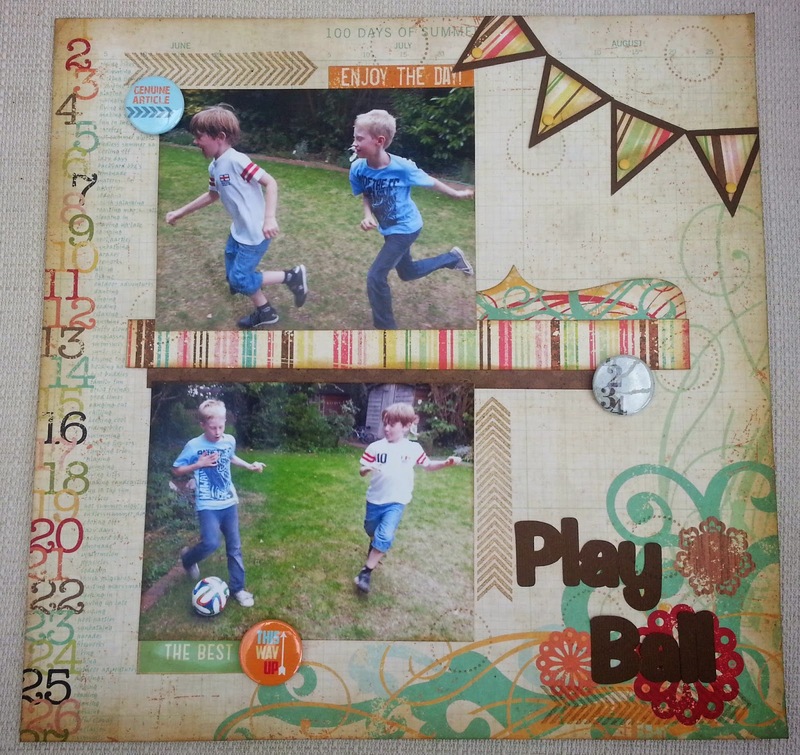 I made a scrapbook layout of my son and grandson playing football. I used papers from Simple Stories and Echo Park . I stamped using an arrow stamp and a dotted circle. I cut the banner and title on the Silhouette and added badges, stickers etc from various brands. We'd love you to join us at Make My Monday and show us your take on the theme. I know the image of the woman sniffing the rose comes from a famous painting but I don't know who by, I just know this is a very old stamp from Oxford Impressions. I used four stamps on my project: the woman, the rose frame (Stampin Up) , the sentiment and a rose stamp that I used on the die-cut butterfly (both unknown) . I used red ink and two shades of brown throughout. I dry embossed the roses on the background,sanded them and added brown ink. The semi-circle of text was found on my craft-room floor! I guess it must have fallen out of something from a previous project. Actually, they're not in the woods, it's just my back garden! But the picture reminded me of the song, Teddy Bear's Picnic. I distressed plain cardstock with sprays, inks and stamps, and cut the trees out of patterned paper and distressed them too. The title was made on the PC, except for 'woods', which I cut on the Silhouette. Our new challenge at Inkspirational is to ues red, orange and yellow - you can use all three or just two of them. I used inks of all three colours to make my background, which I then distressed. 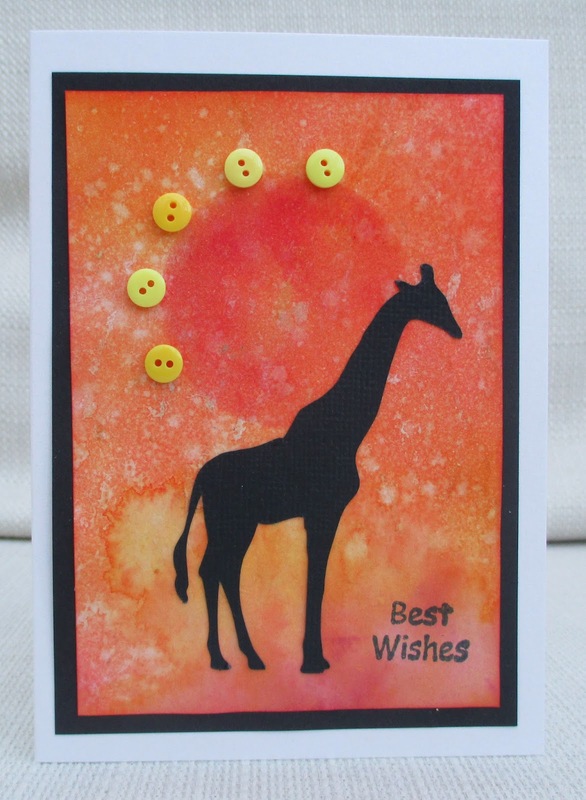 The giraffe was clip art that I traced and cut on the Silhouette and I added a sentiment and a semi-circle of buttons. I hope you'll make a project using these hot colours and share it with us at Inkspirational. Just back from my holidays - but they were nothing like this! 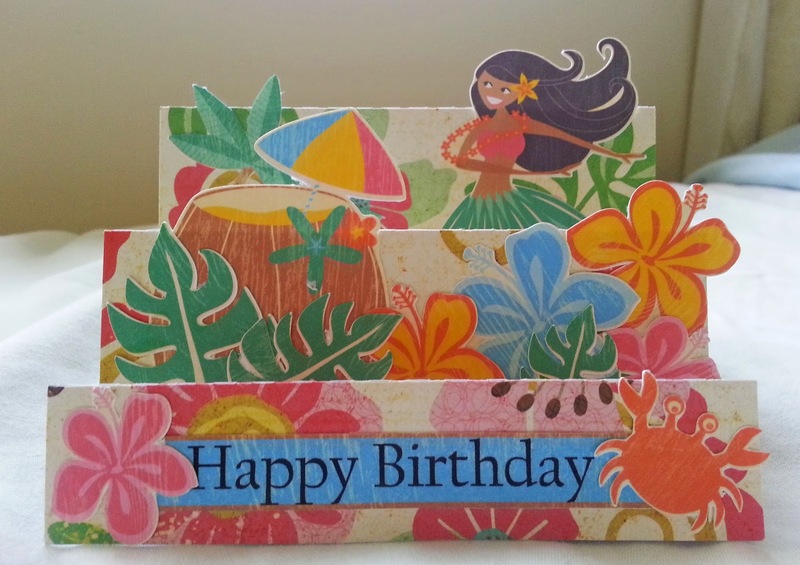 Thought this bright card might make a fun birthday card for someone. I used a Design's By Dani digikit (all precoloured) , cut the elements on the Silhouette and added them to a stepper card, made from Echo Park patterned cardstock. 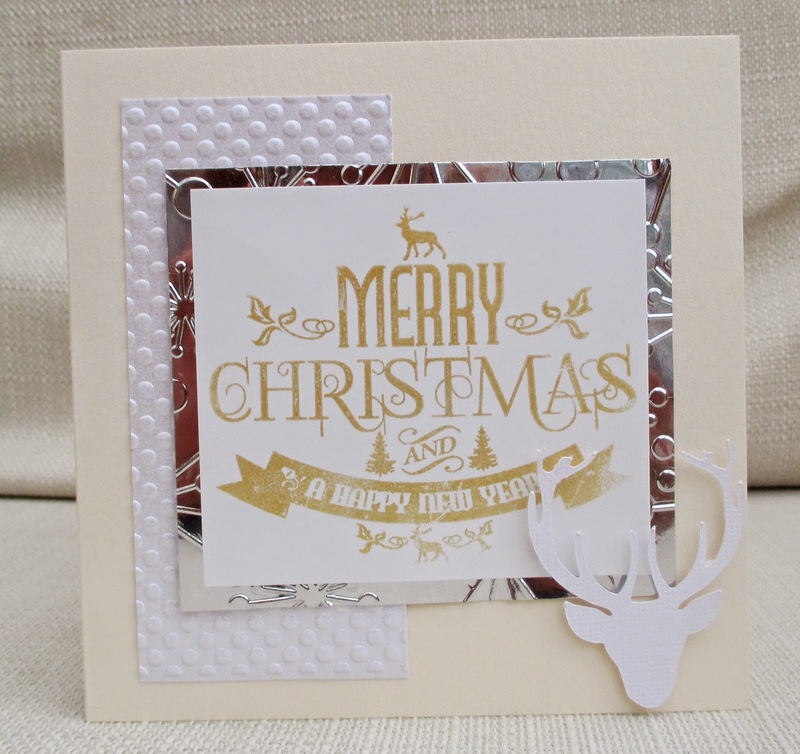 This week I used an Indigo Blu stamp, coloured with gold mica powders; embossing powders and a die cut reindeer head. 52 Christmas Card Throwdown colour combo. Craft for the Craic item never uses before - stamp. This week's theme at Make My Monday is 'Circus' . 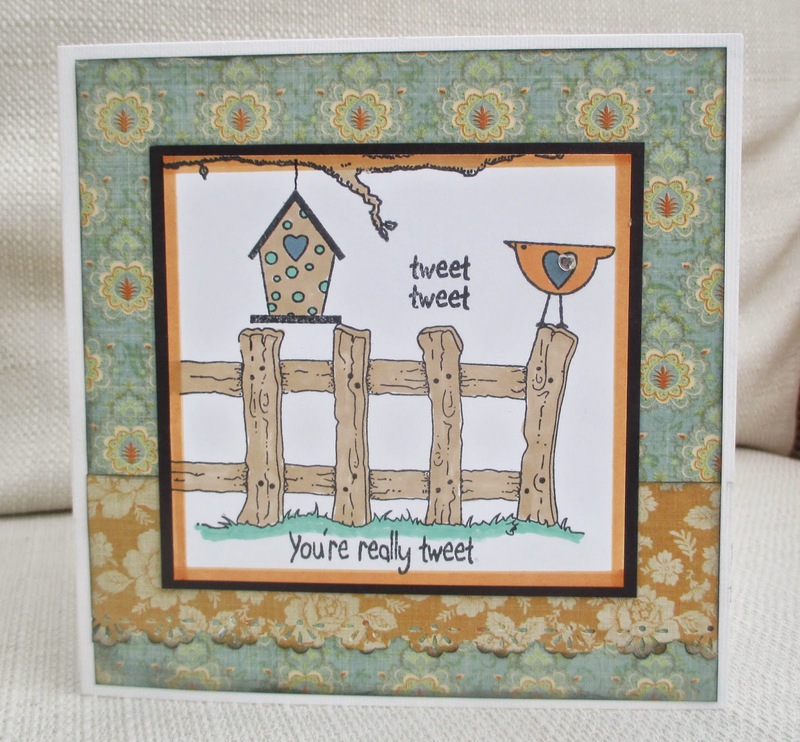 I used a digital kit by Samantha Walker and lots of distress ink - I think this has a vintage nursery look. I hope you'll 'send in the clowns' and join our challenge at Make My Monday this week. This week, I stayed with my friend in Southend (for my international visitors, it's an English seaside resort). This is my 'thanks for having me card' for her. In Southend, I was inspired by a cafe I saw on the front - it's called 'Three Shells Beach Cafe' and it has three pastel-coloured fibreglass (?) shells for the roof - I think it looks like a kitschy retro American-style diner , although I didn't see inside. (Might have been disappointed!) . That's the style I'm going for with this card. 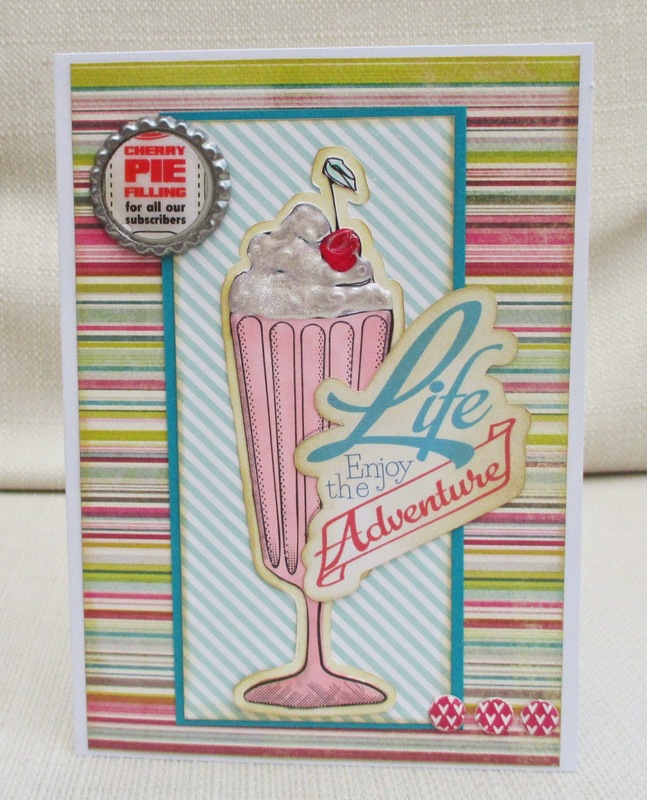 The sundae is from Papermania Happy Days CD and I cut it on the Silhouette, also cutting an offset 'shadow'. I coloured it with Promarkers, liquid pearls and glitter. The 'cherry pie' label is also from Happy Days and I put it in a flattened bottle cap. I also used various patterned paper, 3 Candi and a die cut text. Still going on the Christmas cards! 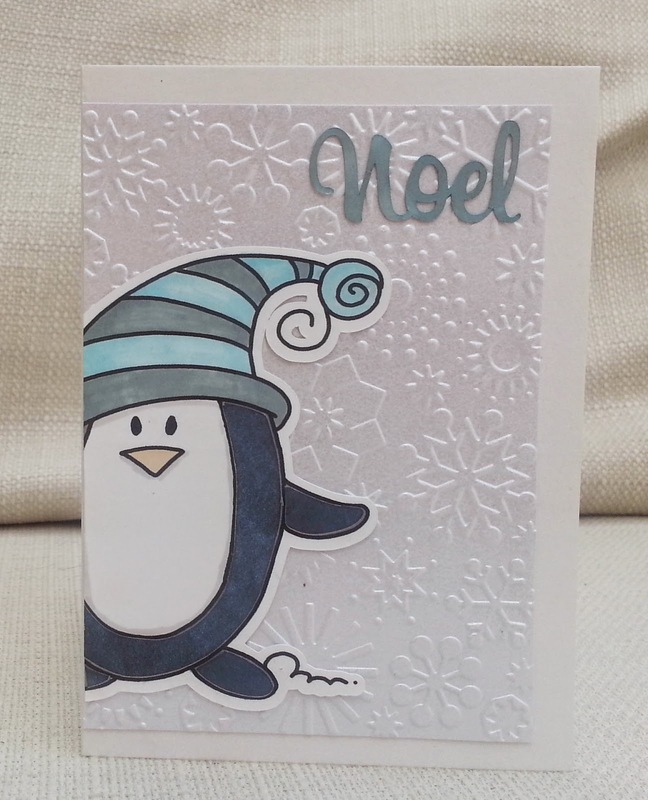 I used a digi-stamp (just says LPW on file name - can't remember what that stands for), Promarkers , 'Noel' cut on Silhouette and an embossing folder. I had a plain white Tshirt and I asked my grandson (nearly 4) what he would like on it and he said 'butterflies'. I created this image in Silhouette Studio. I found a cloud ( digital version of Echo Park Sweet Day) and it contained words such as kindness/ caring/ carefree - words not always associated with 'boyishness' but which are just as important for boys as girls. I used the text feature to add the word 'boy' on top. The butterflies are part of this week's Silhouette free cut file and I used the 'fill pattern' feature to fill them with the cloud pattern. Then I traced the image and cut it out of heat transfer paper, on the Silhouette Cameo. Sarah Hurley Favourite things - Silhouette and making things for my loved ones. For my DT project, I used shrink plastic, and a digi kindly provided by our sponsors , Little Blue Button Stamps , to make a place setting or drinking glass charm. At first I tried to hand- colour the image, but whatever colour I chose for the skin, when it was shrunk, it intensified so much that it looked awful. So, I coloured the image digitally in Photoshop and I added a name - it's my daughter's name - but I think it would be nice to do a set with all the names of the guests at a summer barbecue. 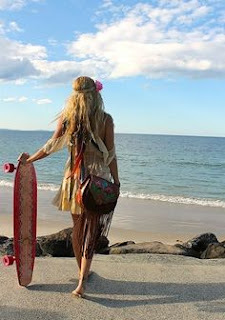 Beach, sea, surf - even boho - how does this photo inspire you? 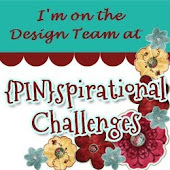 Come and join in at Pinspirational Challenges . It's a real crowd-pleaser theme at Make My Monday this week - birds. 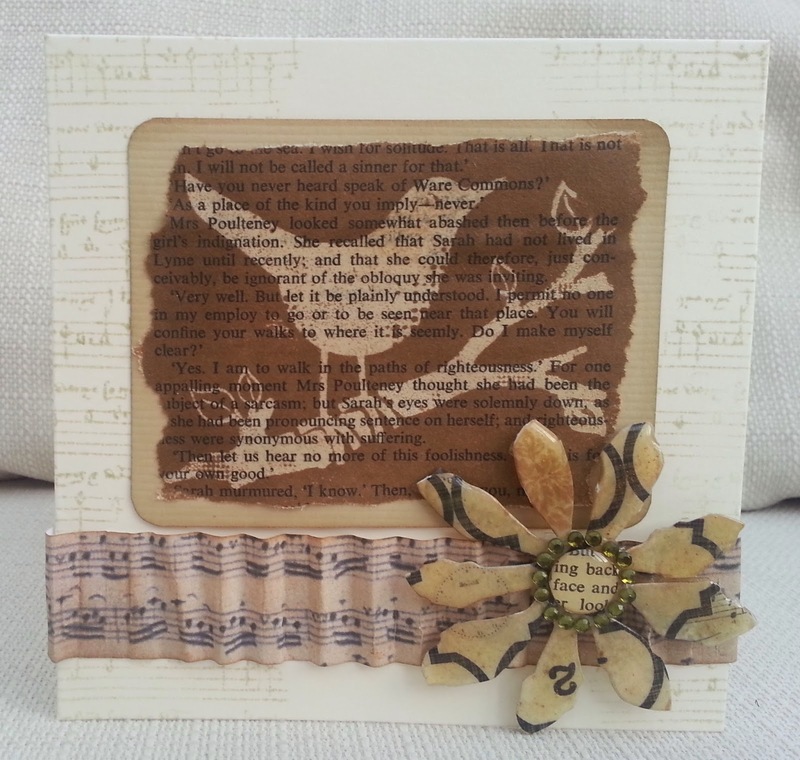 For my DT card, I resist-stamped the bird onto a page from a book , tore the image out and matted it. I'm sorry I have lost the brand name for the bird stamp - I tried googling it but just found a whole load of new stamps I want to buy! I pleated the music paper and added a die-cut flower I had previously coated in the melt-pot. 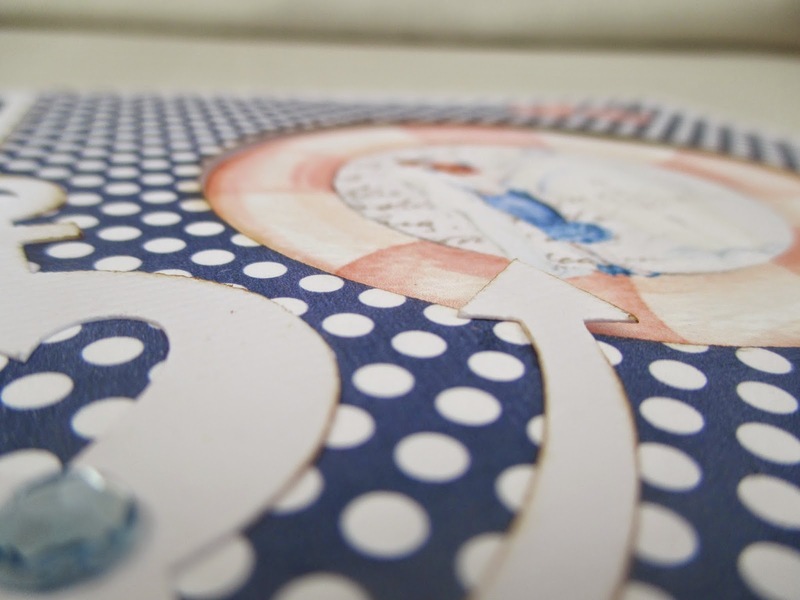 For the middle, I added a piece of the book paper to a clear epoxy circle, and surrounded with gems. I stamped the card base with a music stamp, masked with torn paper. Which of your fabulous bird images are you going to choose to enter our challenge at Make My Monday? Our new challenge at Inkspirational , chosen by Nonni, is to use markers or pencils. Nonni is an expert at using alcohol markers and I can't aspire to that skill level, but I do enjoy using them to colour in stamped or digi images. 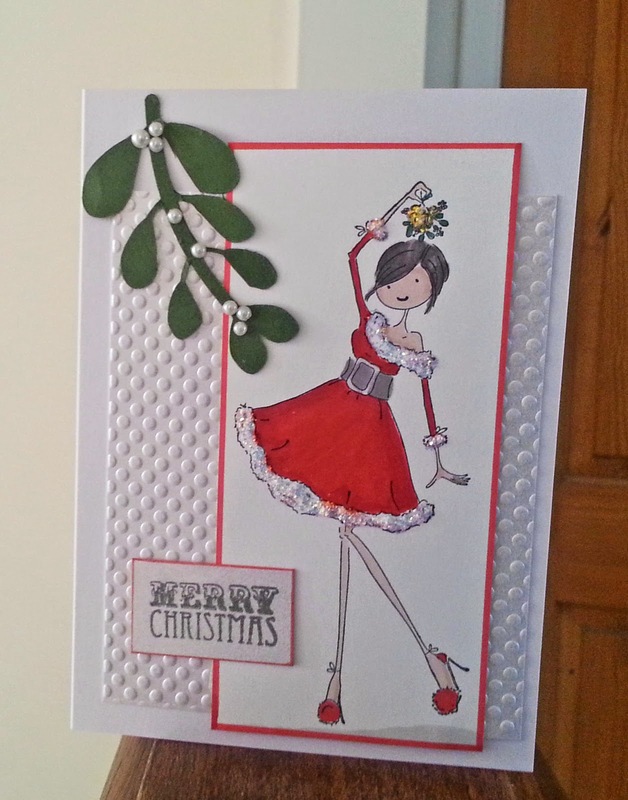 The stamp is by Stamping Bella and the misteltoe embellishment was cut on the Silhouette. 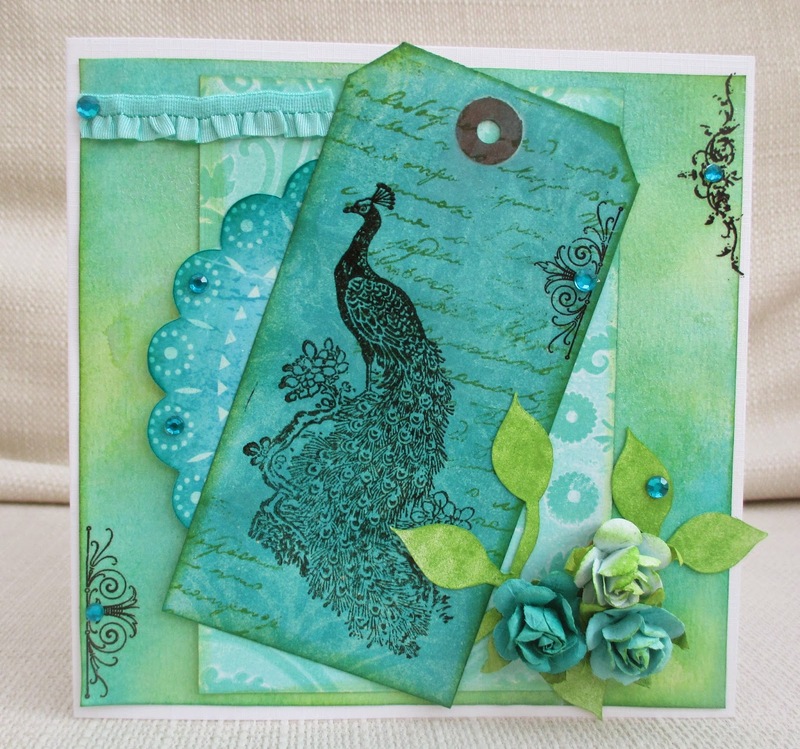 I hope you will join us at Inkspirational , where we have a fabulous Guest Designer, Greta . See you there. 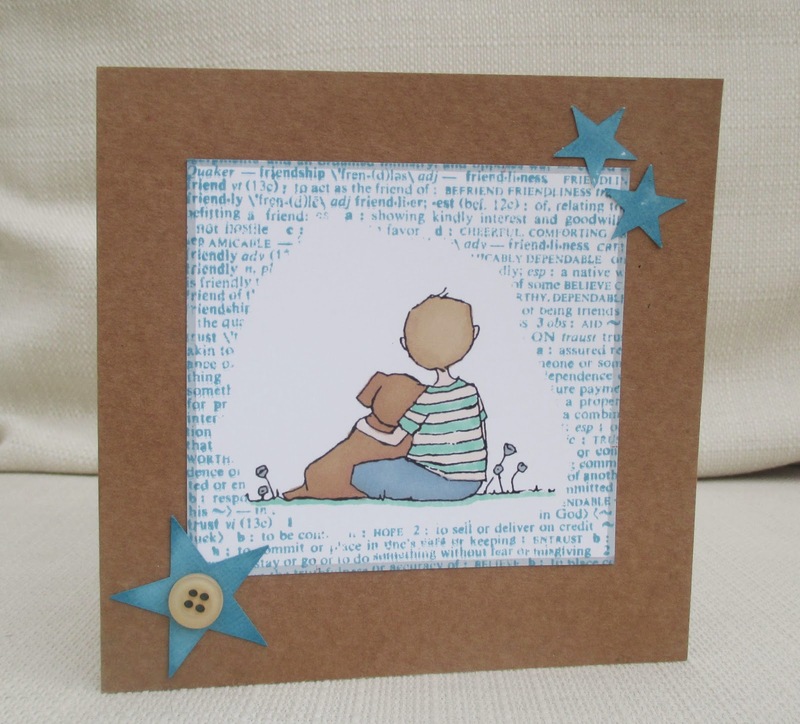 So, yesterday my partner said to me, 'Oh, Mum's moving tomorrow; can you make her a card? ' ! 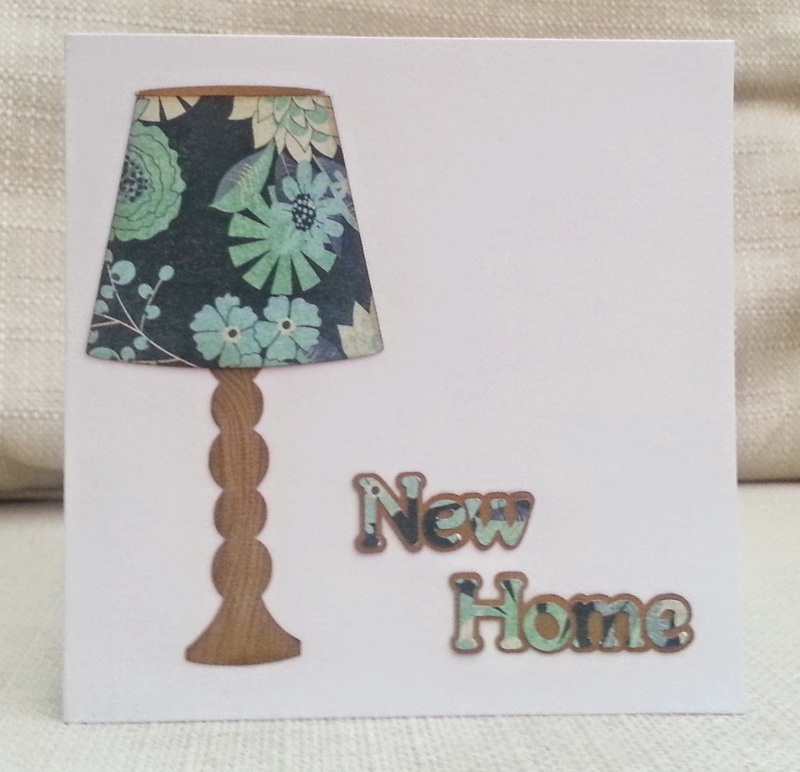 The lamp is a cutting file, cut on my Silhouette and I stamped the base with a woodgrain stamp and inked all the edges. I decided to use the colour scheme from Mod Squad Challenge (blue, brown and one other neutral). I decided to make the sentiment in Silhouette Studio - I always feel a bit overwhelmed when looking for a font, there are so many. Then I remembered a challenge I had been looking at earlier, Simon Says Stamp Monday Challenge 'J is for..' and decided to look for a font beginning with J - there were only three - and this is Jasmine UPC. As I think this qualifies as CAS, I'd also like to enter Less is More anything goes. 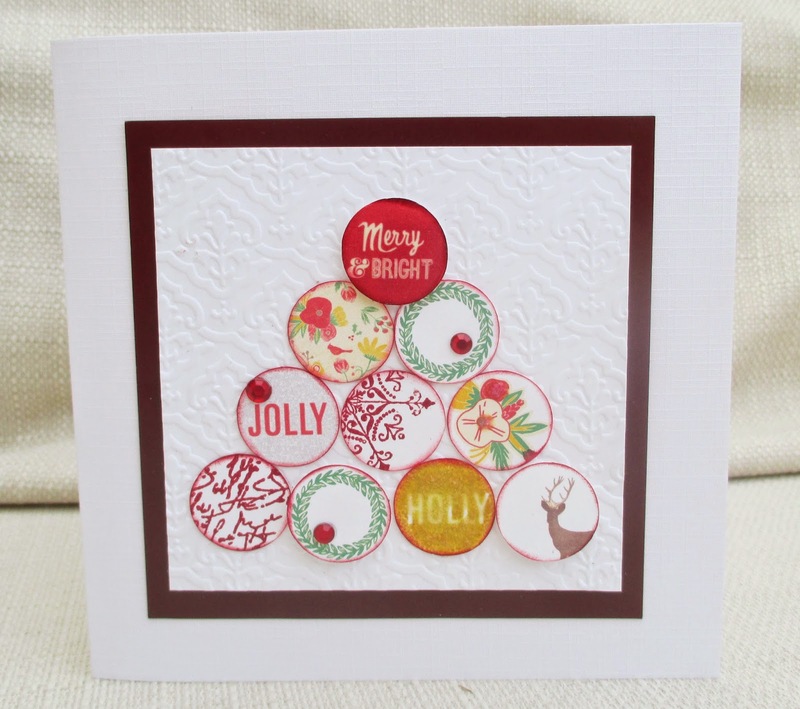 I used a digital version of Glitz Design 'Hello December', cut into circles, inked, with glitter gems etc added.Two circles were stamped, using cherry ink and a Papermania snowflake and Inkadinkado script. Some of the circles are stuck on with 3d foam.